Coloplast Male External Freedom Catheter 23mm, 100ct - Small is a self-adhering, one-piece catheter for secure everyday use. It combines a comfortable latex sheath with a wide, watertight adhesive seal. 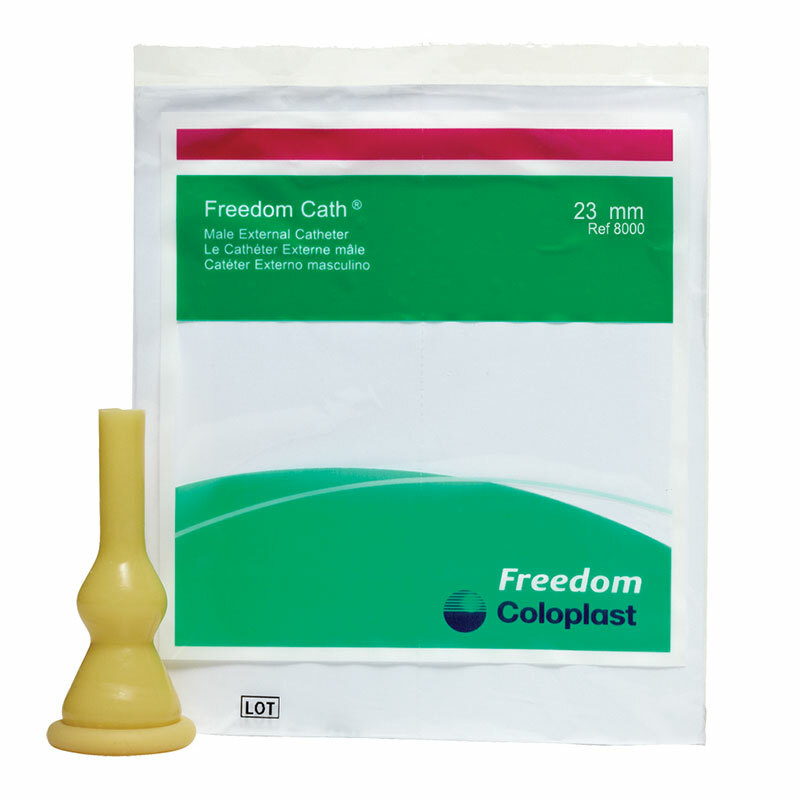 Freedom Cath is a self-adhering, one-piece catheter for secure everyday use. It combines a comfortable latex sheath with a wide, watertight adhesive seal. A variety of adhesive styles, sheath lengths, and one and two-piece configurations are designed to suit a variety of patient needs. Contains 100 Coloplast Male External Freedom Catheter 23mm - Small.